I did the mass transit route to get up to Lake Forest Park, surprisingly easy (light rail and the #522). We had been invited to sketch during the annual flower and plant sale taking place at the Town Center. 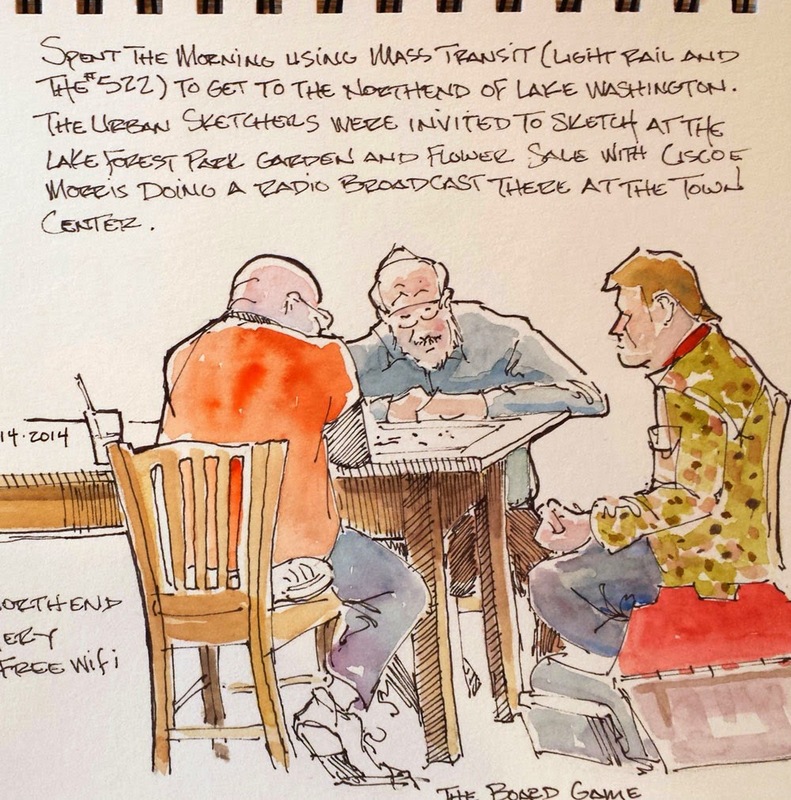 Though I did some sketches of plants and a local radio personality doing his show live, I couldn't resist sketching these three guys who were engrossed in their board game in the Commons upstairs. These guys were serious players complete with box of supplies/reference material and a hand cart to haul it with. Pen and ink with a watercolor wash in a Stillman & Birn watercolor book.